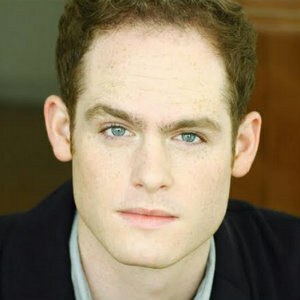 One of the cast members of Finding Neverland, Noah Plomgren hails from O.C. He's from Laguna Beach. In between rehearsals and touring for his role as Lord Cannon, Plomgren carved out some time to do a Q&A with us. You can find out what it’s like to be a part of a Broadway musical, what he does in his off hours, and what advice he would give to someone interested in a career in theatre. 1. Congratulations on your tour with Finding Neverland! What are some of your personal highlights of landing this role? Thanks so much! Its been an absolute blast so far. Too many highlights to count. I get to travel to so many amazing places every few weeks and see the country. I get to play a really fun role in a really wonderful company of actors. I get to work with Diane Paulus and Mia Michaels, two brilliant women who I am a HUGE fan of and have been since being a little theatre geek growing up in Southern California. We would watch So You Think You Can Dance RELIGIOUSLY in high school and getting to work with Mia was never something I imagined myself getting the chance to do. Diane is also one of the most visionary and smart directors working in the American theatre today so getting to be in a rehearsal room with her everyday was nothing short of thrilling. 2. Does the musical, differ from the film? A bit. The story is essentially the same. The movie is absolutely gorgeous and I LOVED it when it first came out. The musical takes that same story but adds a bit more whimsy to it, along with some thrilling musical production numbers, huge gorgeous sets, and a few moments of magic that can only be witnessed and work in live theater. 3. Do you have a favorite scene in your production? There is a number called “PLAY” that we do in act two where a bunch of disgruntled and frustrated actors and stagehands are voicing their opinions and anger in a local pub and by the end of the number, completely rediscover their inner child. Its an absolute BLAST to get to do every night and a great reminder to remember that inner child and not take everything so seriously. That’s probably my favorite scene if I had to pick one. But there are a few I could pick from. 4. Can you give us some of your personal background? How did you get involved in theater? My mother signed me up to do a play with the Children’s Repertory Theatre Company when I was 5 years old. This was an organization run by Shilind Wheaton and Dane Silzle who are the two people responsible for my obsession with the theatre. It was this wild original musical called “Where Are The Walls” that took place not too far into the future where humans started turning into computers and we didn’t know how to stop it. It was sort of brilliant and I played this robot named Calcium. I don’t think I really knew what I was doing or even understood the concept of the show at the time, but I was hooked and became obsessed from there on out. I continued to do community and school theater all while growing up and then got my BFA in acting from Carnegie Mellon University where I graduated almost 5 years ago. 5. You’re originally from Laguna Beach, what are some of your fondest memories of growing up in OC? My best memories are probably from all the productions I did at No Square Theatre, Gallimaufry Performing Arts, and the Laguna Playhouse growing up, as well as our high school shows at LBHS. That’s where I made most of my friends and laughed the most. 6. Where is home today? 7. Could you tell us a bit about your character - and what is his importance in terms of the narrative? I play the role of Lord Cannan who’s this stuffy, upper-class society man. He swoops in and begins an affair with Mary (JM Barrie’s wife) and is a bit of a contributing factor to his marriage falling apart. 8. What does a typical day look like for you while you’re on tour? A typical day usually consists of waking up in the morning and working out/doing a bit of yoga. I’ll usually either chill in my hotel room and read/watch movies for a bit if I’m especially tired, or I’ll go out and explore/find cool things to do in the city that we are currently in. I’m a big fan of just walking around and seeing what I stumble on, or renting a car for a few hours and exploring cities that way. I love finding a good hike or a good bookstore. Finding good food is also high up on the list. Then I’ll start getting ready for my show/warming up around 5 or 6 p.m., do a show, and then find a cool bar with my castmates or just go back to the hotel and crash from exhaustion haha. Of course, there is never a typical day on tour since many times we have rehearsal during the day for understudy assignments/cast replacements/brushups/etc, we may have two shows, or it may be a travel day to our next city. 9. What is your proudest moment in your career? There is a play I did a few years ago at the Pittsburgh Public Theater called NOISES OFF which for the first few weeks of rehearsal and even into the first few performances was the hardest thing I’ve ever done in my career. It seemed like this insurmountable task in a role I didn’t think I was at all right for, but after having done it, I think its the best thing I’ve done so far and the role/production I’m the most proud of. I’m also a laugh whore and that play gave me a laugh what seemed like every 5 seconds which felt…really great. Hopefully just doing some really cool and interesting work with some really cool and interesting people and being able to pay my rent while doing it. 11. What would be your dream role? There are two. Georges Seurat in Sunday in the Park with George and Leo Frank in Parade. 12. Who are your personal idols? Mark Rylance may be my favorite actor of all time. I’ve made the effort to see just about everything he’s done on stage in New York and I’m always gobsmacked by what he’s able to do. He’s the kind of artist I aspire to be. He’s definitely an idol. Dustin Hoffman. Mike Nichols. I’m also currently reading Jim Henson’s biography and have always been fascinated and inspired by him. There are too many to count. I could keep typing names for the next three hours. But those are the big ones. 13. What is it like for you to perform in a musical? Is it tiring, fun, exciting? It's all of those things.It's literally the BEST job in the world. This show is immensely fun. It's always exciting because its live theater and you never know what’s going to happen or how the audience is going to react. It's an incredibly physically intense show so I feel like I’m perpetually exhausted but once the curtain goes up, that adrenaline hits and I don’t really notice the fatigue until the curtain comes down. It's also wonderful to be able to do such a long run because we get to keep making discoveries and finding new things every night and making the show and our characters deeper and richer. 14. What do you do for fun in your spare time? I’m a voracious reader so I read lots of books. I also love to eat (who doesn’t?) so finding new great restaurants is fun. Since it's awards season I’ve also been catching up on all the big movies from this year in my spare time which has been a blast. It's been a really wonderful year for film. 15. Do you have any advice for students that may also be interested in going into theater and music?